Firstly let’s start with defining what a smart contract basically is. Wikipedia says that smart contract is a computer protocol intended to facilitate, verify, or enforce the negotiation or performance of a contract. It can help us exchange money, property, shares, or anything valuable. But what is more important it allows us to do this in a transparent, conflict-free way with no need of the services of a middleman. Some resources compare smart contracts technology to a vending machine. 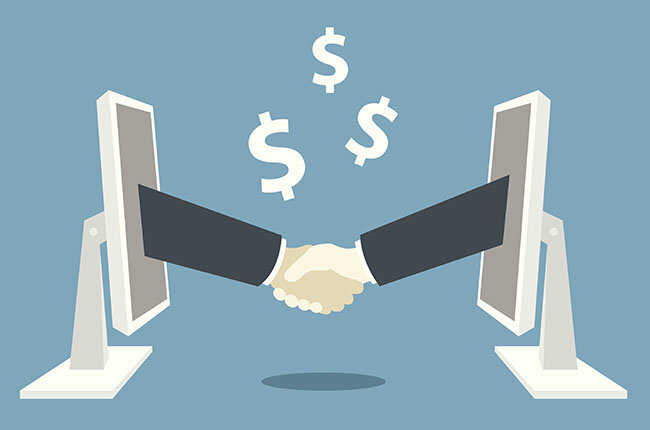 Usually if we need to make any transactions we go to a middleman: a lawyer, a notary, a bank, etc., pay them, and wait while we get the document we need for the transaction. While using smart contracts technology, all you need to do is just to put any cryptocurrency into the vending machine, and you have the transaction completed. Apart from this, smart contracts define the rules and penalties around an agreement in the same way that a traditional contract does, and also it automatically enforces those obligations. Now, just knowing the definition of a smart contract we can imagine that it can be applied in a countless number of situations when we have to ask for assistance third parties. Here are just some of them. Previously, business operations have to endure a back-and-forth, while waiting for approvals and for internal or external issues to sort themselves out. A blockchain ledger streamlines this. It also cuts out discrepancies that typically occur with independent processing and that may lead to costly lawsuits and settlement delays. Step by step we are progressing from ancient sluggish technologies to super-smart robots. Just imagine a future where everything is automated. Google’s getting there with smartphones, smart glasses, and even smart cars. That’s where smart contracts will help. One of the possible examples is the self-autonomous or self-parking vehicles, where smart contracts could put into play a sort of ‘oracle’ that could detect who was responsible for an accident; the sensor or the driver, as well as countless other variables. Previously, if you wanted to rent your apartment to someone, you needed to pay a mediator, a newspaper or a website for example, to advertise and then again you needed to pay someone to confirm that the person paid rent and followed through. The ledger cuts your costs. All you need to do is to pay via bitcoin and encode your contract on the ledger. Everyone sees, and you accomplish automatic fulfillment. Personal health records could be encoded and stored on the blockchain with a private key which would give access only to specific individuals. Receipts of surgeries could be stored on a blockchain and automatically sent to insurance companies as proof-of-delivery. The ledger, too, could be used for general healthcare management, such as supervising drugs, regulation compliance, testing results, and managing healthcare supplies. No doubt smart contracts have quite a number of advantages, such as autonomy, efficiency, trustworthiness, speed, accuracy. But still we need to remember that smart contract is a relatively new technology. Thus, it is no surprise that along with its strengths it still has vulnerabilities and a lot of questions are to be asked before smart contracts become a part of our day-to-day life. What if bugs get in the code? How should governments regulate such contracts? How would governments tax these smart contract transactions? The list of challenges goes on and on. Experts are trying to unravel them and I believe that soon enough we will see if smart contracts will prove its survivability in modern world. And what are your estimates? Previous postThe Future of .NET Core: what to expect?